Church women will be strutting Casa Bella Fashions. Amazing clothes, gorgeous scarfs and lots of bling! 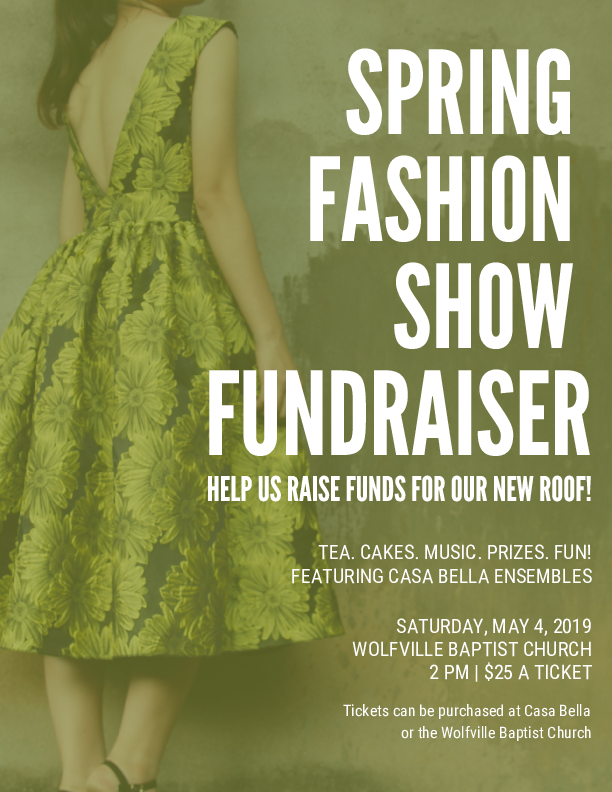 Includes tea/coffee, dessert, fashion show, music, excellent draw prizes and FUN!